Plenty of genre movies have been set in New York City, such as Roman Polanski’s Rosemary’s Baby (devilry on the Upper West Side), Walter Salles’ Dark Water (ghosts on Roosevelt Island), Guillermo Del Toro’s Mimic (vermin in the subway), and Spike Lee’s Inside Man (thievery on Wall Street). 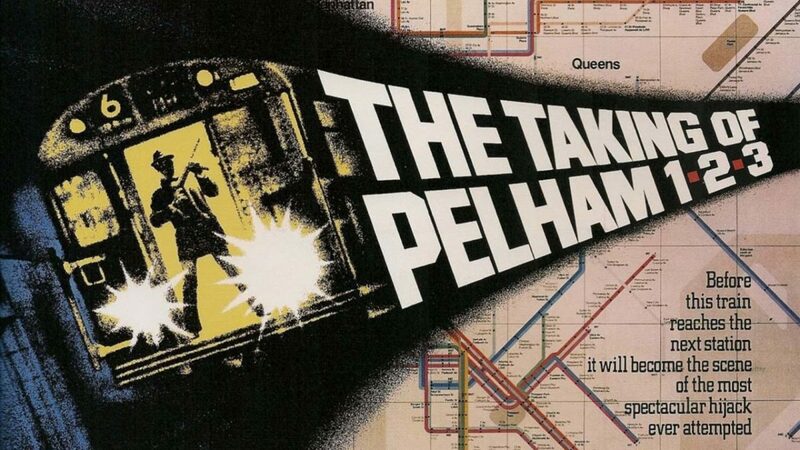 The Taking of Pelham One Two Three, directed by Joseph Sargent from the novel by John Godey, is one of the few of these New York movies seemingly made for New Yorkers. Plenty of the world’s cities have underground transit systems, but this particular story could be set nowhere else. It’s a potent premise that has been remade twice, first as a TV movie in 1998 and again in 2009 by Tony Scott as a big-budget star vehicle for John Travolta and Denzel Washington. It was even an indirect inspiration for the famous color-coded criminal aliases used in Quentin Tarantino’s Reservoir Dogs. The Taking of Pelham One Two Three is a time capsule, full of curiosities about how the New York City subway looked and functioned in the 1970s. It also reveals a great deal about how the city itself was perceived and portrayed in popular cinema at the time. The cityscape is gritty, grimy, and graffitied. Women are just now begrudgingly being let into the M.T.A. workforce. A cynical City Hall is willing to negotiate with terrorists if it means more votes in the next election. Hookers and pimps share the subway with drunks and robust ethnic stereotypes. The unhealthy filth of millions of people living in close quarters is symbolized by a cold going around (which becomes a key plot point). The movie’s racial politics are dated, but perhaps more honest towards flawed human nature. 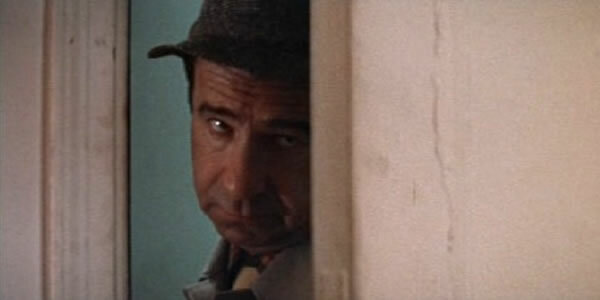 Lt. Garber (Walter Matthau) is openly condescending towards visiting Japanese officials studying the M.T.A. He’s flatly racist in a way no hero in a modern film would ever allowed to be (he calls them “monkeys”). But in fact, he actually does get his comeuppance. Matthau is, to say the least, an odd casting choice for the hero of a thriller. But he was probably about the correct age for a Transit Authority detective, and had the right air of sardonic disillusionment for a believable lower-level civic employee of the bleak New York City of the 1970s. Speaking of roles that would never be conceived the same way in today’s Hollywood, the bad guys remain very effectively disguised throughout. 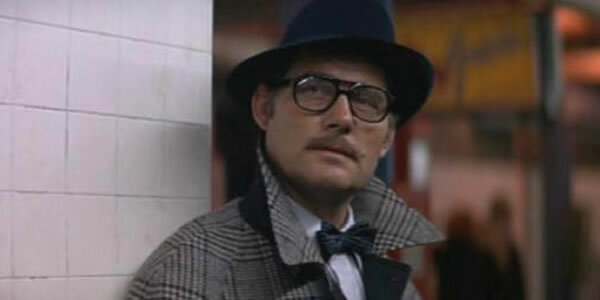 Character actors Robert Shaw and Martin Balsam were never exactly superstars, but how many actors today would willingly disguise themselves for most of a movie? I can really only think of Clive Owen in Inside Man and almost anything Gary Oldman does. Unsurprisingly, no attempt is made to obscure the very expensive face of John Travolta for one frame of the 2009 remake. Note that Shaw’s unmasking is spoiled by his prominent appearance on the DVD sleeve. Made decades before 9/11, The Taking of Pelham One Two Three is nevertheless a miniature nightmare scenario of one of the Manhattan’s myriad vulnerabilities to terrorism. In the 1970s, the familiar form of terrorism was to hold hostages for remuneration or to espouse a cause. Scott’s 2009 remake had to face 21st century audiences (many sitting in New York City movie theaters) for whom terrorism means mass murder. But Scott takes the conventional route and boils down the plot into a conflict between two men, on a personal level. Scott’s choices highlight how much the original actually bucks cliche. In the original, we know practically nothing about the personal lives of Garber or the villainous Mr. Blue (we may guess he’s some sort of ex-mercenary or soldier of fortune, but he gives no hint of his ideology or motivations). In contrast to the ice-cool Mr. Blue, Travolta’s character is manic and unhinged, and rants in a barrage of f-bombs. Just as Sargent’s old school runaway train sequence is more thrilling than Scott’s rapid-fire editing and CGI flair, the original also outscores on pure cynicism.